Perrysburg, Ohio (January 28, 2016) - Owens-Illinois, Inc. (NYSE: OI) today announced that it will host an investor day on March 1, 2016. CEO Andres Lopez and the executive team will review the Company's long-term strategic plans, industry trends and operational levers to drive higher earnings and cash flow over the next several years. The invitation-only event will take place in New York City. 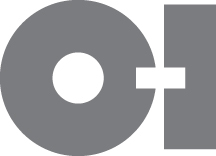 Lopez will provide investors with a comprehensive update on O-I's business, including the Company's strategic plans and favorable trends for key market segments. In addition, he will identify longer-term commercial development opportunities, including the Company's successful efforts - by acquisition and by joint venture - to increase O-I's exposure to fast growing U.S. beer imports and the Mexican domestic market. He also will highlight ongoing operational improvements to promote stability and heightened performance that, as the Company exited the year 2015, have already begun to impact O-I's end-to-end supply chain and have improved the core business. Additionally, Lopez will discuss 2016-17 plans to drive enhanced enterprise profitability. Chief Financial Officer Jan Bertsch will discuss how O-I's strategic initiatives will translate into margin improvement and higher cash flow generation. She will also review the deleveraging plan to achieve O-I's target leverage ratio. Chief Strategy and Integration Officer John Haudrich will provide insight into how O-I's integrated approach will foster a collaborative culture that will enable enterprise-wide focus, alignment and benefits going forward. Other members of the O-I senior management team will provide additional details on the implementation of the Company's strategic initiatives. A live webcast of the event will begin at 8:30 a.m., EST and presentation materials will be available on the O-I website, www.o-i.com/investors, in the Presentations & Webcast section. A replay of the webcast will be available following the call. This document contains "forward-looking" statements within the meaning of Section 21E of the Securities Exchange Act of 1934 and Section 27A of the Securities Act of 1933. Forward-looking statements reflect the Company's current expectations and projections about future events at the time, and thus involve uncertainty and risk. The words "believe," "expect," "anticipate," "will," "could," "would," "should," "may," "plan," "estimate," "intend," "predict," "potential," "continue," and the negatives of these words and other similar expressions generally identify forward looking statements. It is possible the Company's future financial performance may differ from expectations due to a variety of factors including, but not limited to the following: (1) the Company's ability to integrate the Vitro Business in a timely and cost effective manner, to maintain on existing terms the permits, licenses and other approvals required for the Vitro Business to operate as currently operated, and to realize the expected synergies from the Vitro Acquisition, (2) risks related to the impact of integration of the Vitro Acquisition on earnings and cash flow, (3) risks associated with the significant transaction costs and additional indebtedness that the Company expects to incur in financing the Vitro Acquisition, (4) the Company's ability to realize expected growth opportunities and cost savings from the Vitro Acquisition, (5) foreign currency fluctuations relative to the U.S. dollar, specifically the Euro, Brazilian real, Mexican peso, Colombian peso and Australian dollar, (6) changes in capital availability or cost, including interest rate fluctuations and the ability of the Company to refinance debt at favorable terms, (7) the general political, economic and competitive conditions in markets and countries where the Company has operations, including uncertainties related to economic and social conditions, disruptions in capital markets, disruptions in the supply chain, competitive pricing pressures, inflation or deflation, and changes in tax rates and laws, (8) consumer preferences for alternative forms of packaging, (9) cost and availability of raw materials, labor, energy and transportation, (10) the Company's ability to manage its cost structure, including its success in implementing restructuring plans and achieving cost savings, (11) consolidation among competitors and customers, (12) the ability of the Company to acquire businesses and expand plants, integrate operations of acquired businesses and achieve expected synergies, (13) unanticipated expenditures with respect to environmental, safety and health laws, (14) the Company's ability to further develop its sales, marketing and product development capabilities, and (15) the timing and occurrence of events which are beyond the control of the Company, including any expropriation of the Company's operations, floods and other natural disasters, events related to asbestos-related claims, and the other risk factors discussed in the Company's Annual Report on Form 10-K for the year ended December 31, 2014 and any subsequently filed Quarterly Report on Form 10-Q. It is not possible to foresee or identify all such factors. Any forward-looking statements in this document are based on certain assumptions and analyses made by the Company in light of its experience and perception of historical trends, current conditions, expected future developments, and other factors it believes are appropriate in the circumstances. Forward-looking statements are not a guarantee of future performance and actual results or developments may differ materially from expectations. While the Company continually reviews trends and uncertainties affecting the Company's results of operations and financial condition, the Company does not assume any obligation to update or supplement any particular forward-looking statements contained in this document.